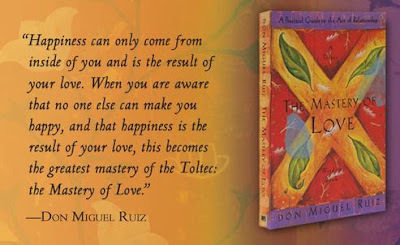 The book I am referring to is The Mastery of Love by Don Miguel Ruiz. To give you a little background on the book, it’s basically a book that focuses on to Toltec wisdom and provides alternative ways to view your life, yourself and the people around you. It provides a foundation to base relationships on and helps identify healthy relationships and differentiates those from relationships “from hell” (as the book puts it). The reason I fell in love with this book was the definition of what love really is and practical suggestions to provides for you to implement in your own life to improve current relationships with people. The concept is simple, nothing I didn’t know before. It basically states to love others you have to love yourself. Everyone knows this right? Nothing life changing but the perspective it puts forward is very relatable and actually made me believe it for once. I used to turn my nose up at motivational quotes and self help books and think they were a pile of mumbo jumbo, but as soon as I found one I related to I see why these are such big sellers. Whilst this book can be beneficial to both men and woman, I feel as a woman I related with it on a deep level. 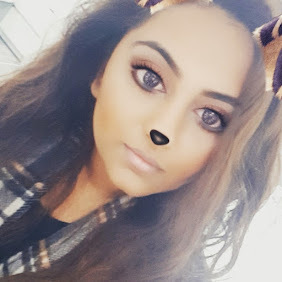 Coming from a mildly traditional Indian family, as a girl I was always taught to people the needs of other people before my own. I grew up always seeing my mum put people (including me) before herself and sacrificing a lot of her own self love for love of others. The book doesn’t state this is completely wrong but shows how putting yourself first and only taking responsibility for your half of relationships (with family, friends, partners) can lead to more healthy relationships in the long run. I love how the book helps you change your mind frame and helps you realise how you are creating a life of “hell” for yourself and because you’ve built it.. you are the only person who can destroy it. I don’t want to give too much of the book away because I really recommend it to you guys to read but I thought I’d share a few of my favourite quotes from the book below. Please do let me know if you've read this book and your opinions on it. Have you read any similar books that you feel have impacted you positively?